Don't miss the best event of the year for river and angling enthusiasts! We've sold out the last three years so buy your tickets today or sponsor a table and bring your friends. Colorado TU is celebrating its 50th anniversary in 2019 and will be honoring William Reilly, the former EPA Administrator who vetoed Two Forks Dam and helped spawn new, more collaborative approaches to water management, with the 2019 River Stewardship Award. 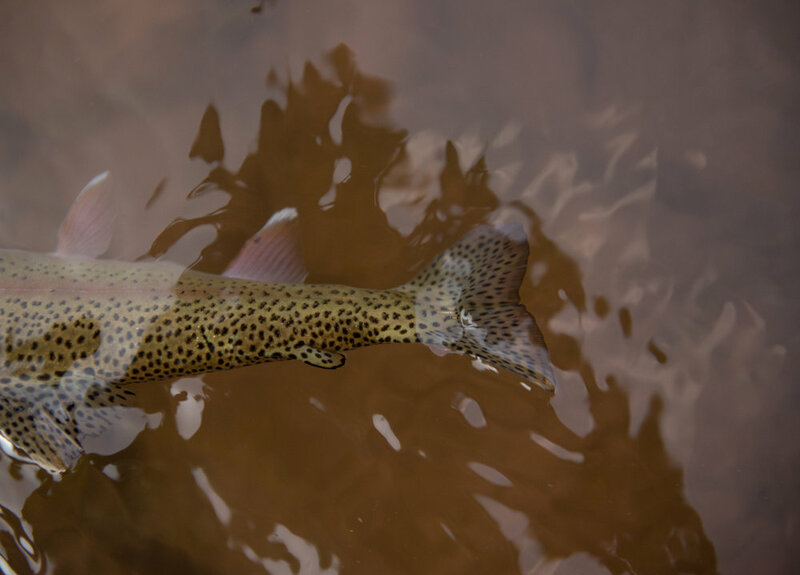 Join us at the Gala and support our work for healthy rivers and fish in Colorado! Purchase your tickets here or by emailing skindle@tu.org. The annual Colorado TU River Stewardship Gala is held each March at Mile High Station in Denver. The evening features a delicious meal, complimentary beer and wine, and extensive live and silent auctions. This has become a must-attend event for river and angling enthusiasts! Pictured, Governor John Hickenlooper, receipient of the 2018 River Stewardship Award. Interested in being a part of the next Gala? Please fill out the form below.